Here in Texas we have had the hottest summer in history. I don’t even think that the word hot adequately describes what a scorcher Texas has been. The crops have died. The yards are brown. The lakes are empty. It is a burnt up landscape. Literally. We have been praying for rain, with little answer. 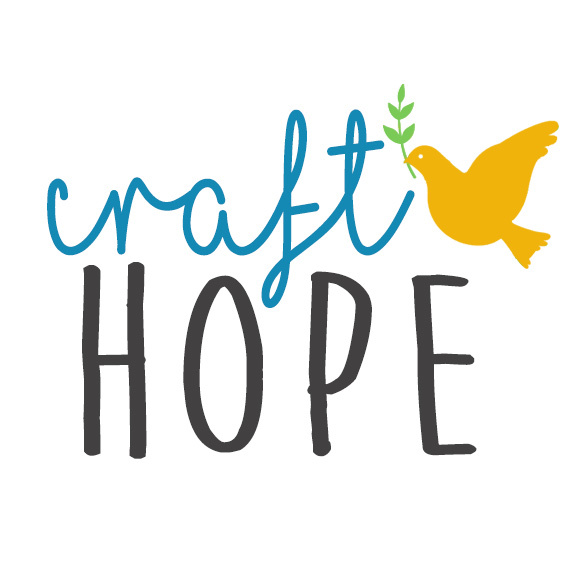 Craft Hope is run outside of Austin, Texas and the billowing smoke plumes that were on the horizon the past few weeks tells me that Texas needs us. There has been smoke in the air and fires all around. Communities have been evacuated, only to come home and find that the only thing left is a charred landscape. Entire neighborhoods leveled by fire. I’ve gone through my own mental lists lately as to what I need to grab if a fire breaks out. Fires have surrounded my small town. I haven’t ever personally experienced this type of evacuation, but know several families lately who have and some of which have lost their homes. The town of Bastrop experienced a devastating fire that destroyed more than six hundred homes. That’s at least six hundred families. Families with kids. Families who lost everything. Just this summer alone, over 1,600 homes have been devastated due to wildfire in Texas. Two weeks ago fires raged through Texas burning through 1.4 million acres of land. Homes have been gutted, animals killed, and hundreds of famillies have lost their homes. At Possum Kingdom Lake, a wildfire raged and burnt over 87,000 acres in just 24 hours. Enough statistics for you? We collected sock monkeys for Project 4 for children at a burn camp in California. Children who were victims of fire and still wear the scars. This time around we are going to collect sock monkeys for all of the children who lost homes in the Texas wildfires. You get the monkeys to me and I will hand deliver them across Texas. Here’s the skinny, for Project 15 :: Sock Monkeys for Texas we are collecting handmade sock monkeys for victims of the Texas wildfires. The main requirement is that they are handmade. Once again, this is a great project for kids. I’m already planning with my own kids what kind of socks we are going to buy and how we are going to dress them up. Clothing is optional on the monkeys. I’m personally thinking about adding a tutu or a scarf. It is getting chilly out. I’ve already started planning for the sock monkey invasion. I’ve got child locks on all of my cabinets and put away the breakables. They are a mischevious lot. Just ask Marjorie who collected them for us for Project 4. Left unsupervised they can cause havoc. The deadline for Project 15 is November 24, 2011. Thanksgiving. This will be our last project for 2011 so jump on board and join us. There are tons of sock monkey tutorials out there and I’ll put up a post with links shortly. How many sock monkeys do we need? As many as you can muster. I would love a sock monkey for every kid who lost a home. This is possible, but I’m going to need your help to rally the troops and get people involved. Spread the word about our sock monkey project. Tell your friends about it, tell your neighbors, tell your neighbor’s friends, tell your church, tell your scout group, tell your craft group. Tweet it, facebook it, blog it. Spread the word. Spread hope. We’ve got kids that need hope and a sock monkey is a great way to put a smile on their sweet faces.